Defence Force research shouldn’t be dismissed as being relevant only to the field of combat, says Australia’s Chief Defence Scientist Dr Alex Zelinsky, the commercial potential of their research is a very important part of what they do. “You will know that the internet, GPS and the black box flight recorder are products of defence research and development,” Zelinsky said. The black box was famously invented in the 1950s by Australian David Warren and his team at the Aeronautical Research Laboratory. This would later combine with other defence-related research facilities to form a single organisation, known today as the Defence Science and Technology (DST) Group, an organisation still dedicated to developing innovative and life-saving technologies. Zelinsky’s role as Chief Defence Scientist includes leading the DST Group. He said they have signed science partnerships with 30 universities and 14 strategic alliances with industry partners, including SMEs and publicly-funded research agencies. “The Defence White Paper clearly articulates the need to tap into the national innovation system to give our defence forces the technological edge,” he said. He said the organisation’s number one priority is providing support to operations. “Our Defence scientists have won several prestigious science and industry awards in recognition of their leading-edge research,” he said. 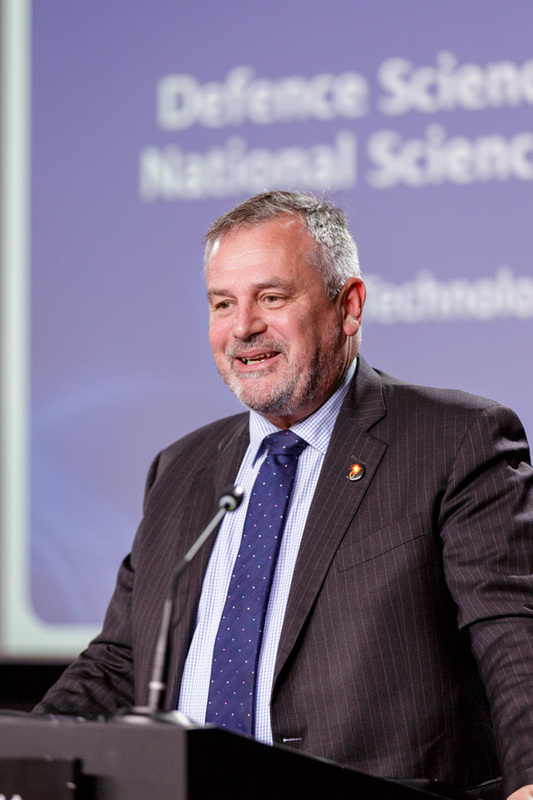 Australia’s Chief Defence Scientist discussing defence science innovations at National Science Week in 2017. Since 2003, improvised explosive devices (IEDs) have become the weapon of choice for insurgents in places such as Afghanistan and Iraq. Typically, IEDs are a hidden explosive charge attached to a discrete detonating device that can be triggered remotely. They are cheap, easy to make, difficult to locate, and can cause many serious injuries as well as lowering the morale of soldiers. Smart and his team designed, developed and produced four highly advanced systems to combat IEDs. They have been commercialised with an estimated benefit of $64 million, demonstrating how home-grown technological development can make an impact on the global stage. Two of these projects, dubbed Greengum and Greygum, were developed under the Redwing program, an initiative of Defence’s Joint Counter Improvised Threat Task Force to target IEDs in Afghanistan. Greengum is the smaller handheld version designed for use by dismounted troops while Greygum is a more powerful system that can be fitted to light vehicles. “While the Task Force had experience creating this type of device for Australian forces, Redwing was very different,” Smart said. Thanks to their background in IED countermeasure systems, Smart and his team delivered an initial concept demonstrator in only three months. Around 160,000 units have been supplied so far to the Afghan National Army. “The Redwing program is a fine example of innovation with Defence and industry working together to deliver an operational capability for the national good,” Zelinsky said. The other two projects developed by Smart included a new device and software to provide urgent protection for Australian Defence Force troops against an emerging threat for which there was no existing countermeasure. Another DST project Zelinsky is proud of is the Joint Direct Attack Munition (JDAM) Enhancement Project. JDAM was an idea developed by Boeing in the late 1990s to use GPS navigation to guide bombs through poor visibility such as smoke and dust. DST had significant experience in glide bombs at the time from its Kerkanya project, a strap-on wing kit, inertial navigation system and movable tail unit that could increase the range and accuracy of a basic MK-82 weapon. Boeing was impressed with its ability to strike a target with pinpoint accuracy at up to three times the range of the original weapon. Zelinsky showing off the Greygum and Greengum devices. It suggested they combine the technology with the JDAM. 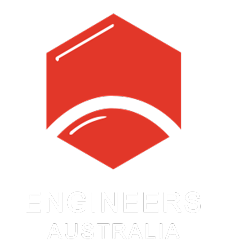 At the Defence + Industry Conference dinner in June the JDAM Enhancement Project was judged Team of the Year and Major Acquisition Over $50 million. “These two awards recognise the collaboration between the CASG Acquisition Management Unit and the Ferra Engineering company that manufactures the wing kit assembly for the JDAM weapon,” Zelinsky said. He also highlights the Diggerworks program, which has resulted in an adaptive system for providing our soldiers with the equipment they need to be effective on the battlefield, and the Cross Domain Desktop Compositor (CDDC) which recently picked up three technology awards from the Australian Information Industry Association in South Australia. It was judged the Platform Innovation of the Year, the R&D Project of the Year and best innovation in the Public Sector and Government Markets. “The iAwards recognise technology innovations that have a positive impact on the community,” he said. Zelinsky grew up in Wollongong to the south of Sydney, and did both his undergraduate degree and PhD in robotics at the University of Wollongong, while also working at the town’s biggest employer, BHP Steel, as a systems engineer. After a few years as an academic in Wollongong, he headed to Canberra to head up the Robotics Systems Lab at the Australian National University. This group focused on human machine interactions including computer vision applications. In late 2000, Zelinsky and three other researchers from the lab created a start-up company called Seeing Machines. The company develops hardware and software to help machines interpret the human face and eyes in order to understand their state. The most obvious example of this is devices that monitor drivers to detect when they’re getting drowsy, a technology adopted by Volvo trucks back in 2004. The company now has a turnover in excess of $23 million, is listed on London’s Alternative Investment Market, and has strategic relationships with companies like Caterpillar, Electro-Motive Diesel, Boeing, Bosch, LG and Panasonic. Zelinsky says he learnt a number of important lessons from the experience of setting up a tech company. “You have to develop products that meet customer expectations,” he said. Zelinsky eventually moved on to be Group Executive for Information Sciences at the CSIRO before being offered the position at DST in 2012. He said to encourage innovative mindsets in both organisations, he likes the three horizons approach developed at McKinsey and Company, where the first horizon is the core business, the second involves emerging opportunities and the third is ideas for profitable growth down the road. “In both organisations we have sought to have a balanced H1-H2-H3 portfolio of investment,” he said. And his advice for a young engineer just starting out? “Don’t be afraid to be ambitious,” he said. Do you trust the robots in your life?